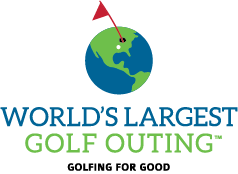 The World's Largest Golf Outing™ (WLGO) proudly supports the Fisher House Foundation, which is why a portion of your registration fee goes directly to their causes. 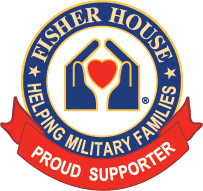 Every $10 covers one night at a Fisher House, allowing families and loved ones of injured service members to stay together during a difficult time in their lives. We encourage all teams to try and raise additional donations with 100% of those fundraising dollars going directly to this fantastic charity. Use the Donate to a Team box, Donate to a Course box or the Donate Direct box below to donate. Once on that respective page, search for your Team or Course - no need to search if doing a direct donation. Once found, use the "Donate" or "Donate to Course" selections to make your donation! Use the pay by Credit Card to apply your donation immediately. We strongly recommend you make your donation through the WLGO website, to ensure your donation applies immediately. If you choose to send your donations offline, click here to learn how to download our donation form and send your donation in.